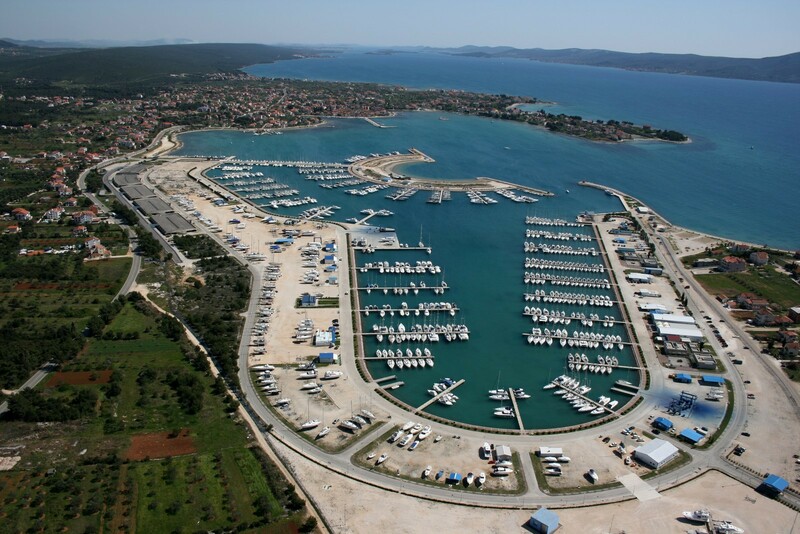 A town with a port on the coast of the large and shallow Sukosan Bay at the transition between the Zadar and Pasman Channels. Sukosan has a typical Mediterranean layout with a network of narrow streets. There are beautiful sandy beaches along the bay. The 240-m-long harbour is only partly in use. The sea is shallow. There are several private campsites in the town and its environs. The remains from the Roman era, including an aqueduct, are scattered around the town. The Parish Church of sv. Kasijan (St. Cassian) probably dates back to the IP century, but its present appearance is from the 17th century. On an islet in the bay lie the remains of the summer residence of the Zadar Archbishop from the 15th century. DALMACIJA MARINA (023) 393-731 - It is one of the largest marinas on the Adriatic but the ambitious project is not yet completed. There are 1200 berths for boats up to 15 m long with a draught of up to 4 m, 400 spaces for dry storage on the coast and in the hangars, a repair shop for engines and boats, a 65-ton lift, and two 30-ton lifts. 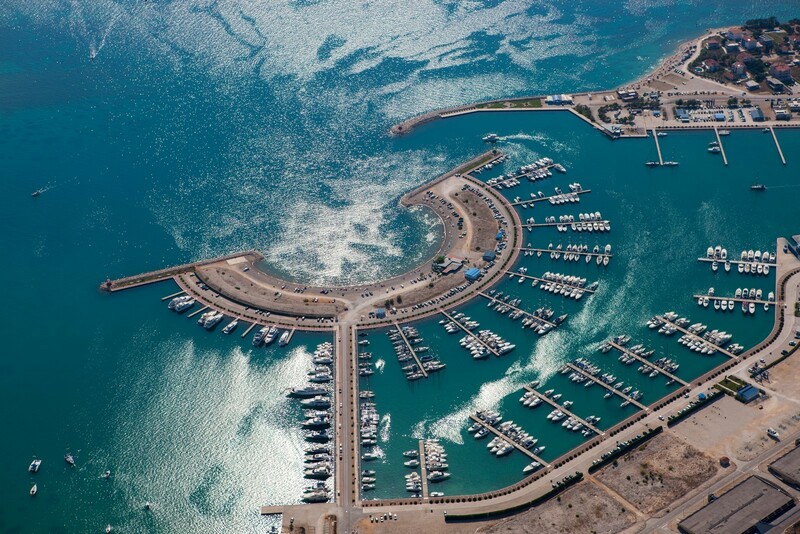 400 metres of the coast are intended for boats up to 25 m long with a draught of up to 5 m. The marina is protected from all winds.